Maybe a selfie will lead to your new career path, too? In just a shade over two weeks, Real Estate Connect San Francisco will be here. After attending and presenting at two conferences this month in Arizona, the concept of connection seems to be front and center. This would be appropriate in any business, but it is particularly appropriate in real estate. How we connect and communicate is a cornerstone of our world. 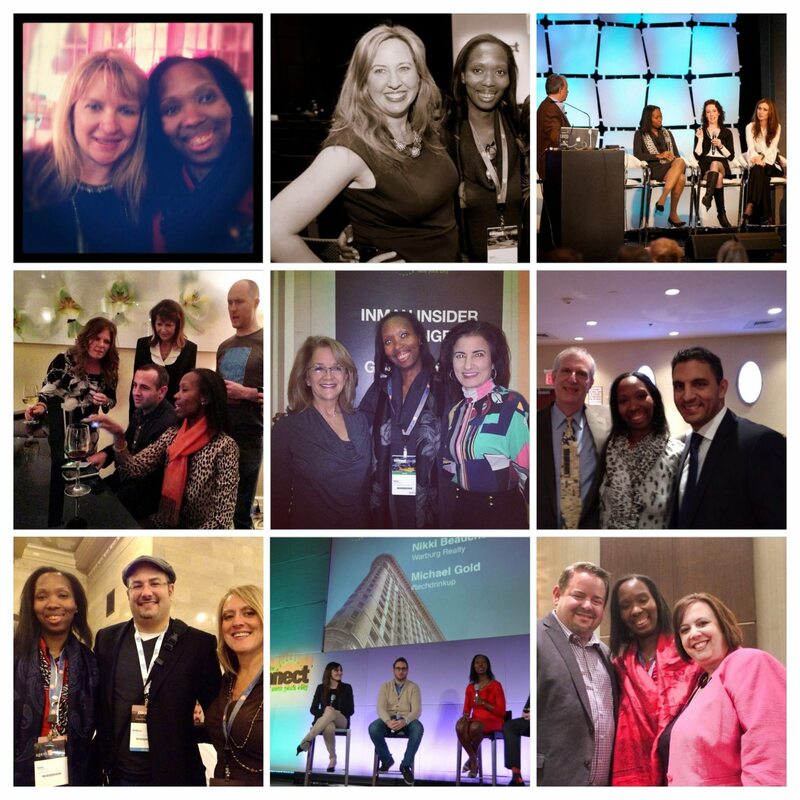 Here are a few of my personal tips for attending Real Estate Connect, or any conference. I know this seems fairly rudimentary, but genuinely have a conversation like a reasonably normal and well-adjusted human being. Anything other than that seems to result in reactions that may be the polar opposite of what you are seeking. Pro tip: Talk to people and look them in the eye. Avoiding your device of choice for a few minutes won’t be the end of the world. 2) Get to know the people you don’t already know. I know many of us know people before going to a conference. There are great groups and conversations across various social media for weeks, if not months, preceding an event. This is great, but some people are new or don’t use social media to get connected ahead of time. So once you get to Connect, say “Hi” to people and try to include people you don’t know in conversations. You never know whom you might miss! Yes, plan. In many cases, Connect may be the only time you are in the same city as the other attendees. If you want to intentionally have quality time, you have to plan it. Figure out who is coming and try to make something work. It is VERY easy to be ships passing in the night. I am a big fan of a book by Keith Ferazzi called “Never Eat Alone.” And when traveling, particularly for an industry conference, I am a fan of sharing at least two of the day’s meals, if not all. The impromptu “group think” sessions over a meal or cocktail can be invaluable. Pro tip: Seriously. I challenge you to never eat alone. And I further challenge you to try to have at least ONE meal or cocktail with someone you don’t already know. I say this partially in jest … but here’s a personal story of how one conference photo changed my career trajectory. A few years ago at Connect in NYC, Stacie Perrault Staub and I were excited to finally have a chance to meet and chat. We were at one of the post-conference cocktail mixers in Times Square, and she was running off to see a Broadway show… but we wanted a photo together. (We all know if you don’t document it and share it with the world, it didn’t really happen.) We were unsuccessfully taking selfies, and finally asked someone standing near us to take our photo. That one question turned into a fascinating series of conversations, discussions about industry issues and eventually to a job opportunity that may not have come otherwise — I recently joined Engel & Völkers as they opened up their brokerage in NYC. The selfie that led to my new career path, to where I am literally sitting today, is at the top left of this collage. Pro tip: As you head around San Francisco, try what I call “tourist photo exchange.” When I see someone trying to do a selfie, or a photo of only one part of a group, I offer to take the photo and have them take a photo of me with similar/same backdrop. It’s a great conversation starter, if you’re at the conference, and a great way to get your tourist photos if you’re toddling around town. Don’t forget to reach out after the fact, whether you are doing so via email, various social networks, or in an old-fashioned, handwritten note. Do note that follow-up doesn’t mean automatically adding someone to your newsletter list (without asking them first), and it also doesn’t mean adding them to your text broadcast list without asking first. Pro tip: In your follow-up, include HOW you met so it seems more personal. Bonus points if you are able to remember and include a detail from your interaction at the time. Follow-up tech tip: Use an application such as Evernote Hello or or CamCard to get contact and follow-up information into your contact database of choice. In the “notes” field, add personal details that will help you recall your interaction. I personally tend to do this on my flight home or within the first week after the conference, before I forget the conversation details. As the years have gone by, I can pinpoint any number of things that originated at an event, and specifically at Connect. Friendships, ideas to implement in business, referrals and priceless introductions. My point? I believe “Connect” is the name of the conference for good reason. Real Estate Connect really does present an opportunity to grow your knowledge base and connect with professionals in ways that can alter your world in unimaginable ways. Once you get there, don’t be a fly on the wall! Look outside your “social” box, look up from your screen, and ask someone else to take your photo. You never know what it will lead to. Hope to see you in San Francisco — I absolutely leave my heart there EVERY TIME!